I’ve come to realize that I attribute the regular practice of setting strong boundaries to the level of joy, peace, and freedom I feel in my life right now. 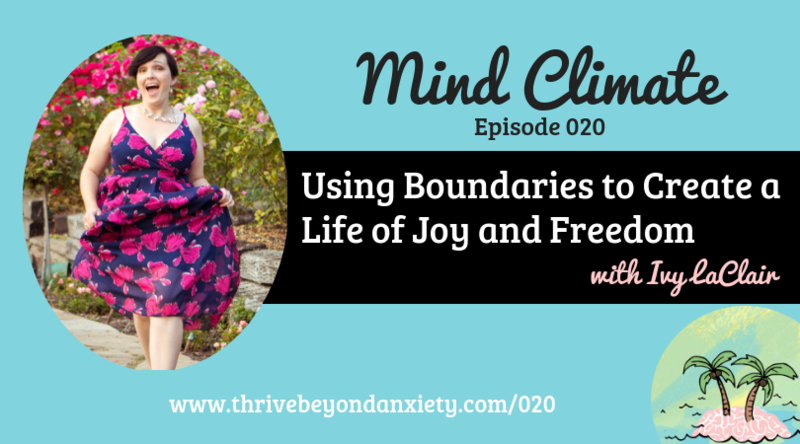 Setting boundaries in my life have given me a sense of empowerment that I get to lean into on a regular basis. It’s because of the power setting boundaries has given me that I want to share this topic with you this week. So, in today’s audio workshop I’m talking about the connection between co-dependent relationships and boundaries, how boundaries allow us to receive healthy support, multiple examples of what setting boundaries have done for me, how I love both myself and others by saying no, and more! I set and respect conscious boundaries with love. Think of a time when you listened to your instinct or your gut and gave yourself permission to make the choice that was really in alignment with what you wanted. What emotions came up for you after? Notice times when you feel you don’t have a choice in respect to a request from a friend or family member. Take note, perhaps in a journal, of how you feel in those moments and the circumstances surrounding these moments to see if there is a pattern. After this, if you’re comfortable with starting to say no, I encourage you to do so.